Use closure labels and boost sales! 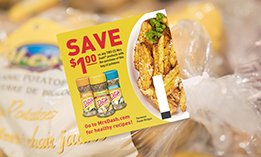 A closure label can be the least expensive and most productive of all advertising media. A package’s label is seen by the consumer at the very moment buying decisions are made and at the point of sale where the consumer can buy the product. An attractive, well designed closure label stands out, grabs attention, and can frequently sway those last minute purchasing decisions. The package’s label can increase sales. Developing brand recognition is a critical part of any successful marketing scheme. 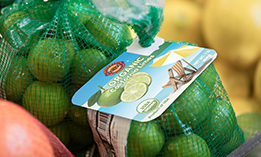 Our closure labels offer high-quality graphics that will showcase your brand name and help establish all–important consumer recognition. Unlike mass media coupons, each Kwik Lok label is handled by the consumer as they remove the closure-label from the package. For a couple of seconds your coupon is seen and touched, this offers a big advantage and results in higher number of redemptions. 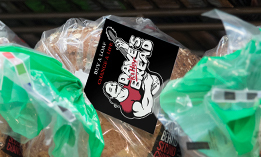 Our labels can be used for carrying vital product information such as variety, weight, size, grade, ingredients, bar codes and recall information. 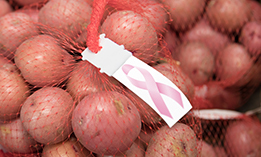 Labels can be applied by automatic, semiautomatic bag closing systems, or by hand. 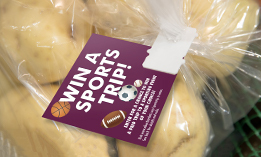 Our closure labels offer an excellent method to support your favorite charities and/or local public events. Our labels can be printed with variable data (winning numbers) and can also be used as a “scratch off” gaming label. 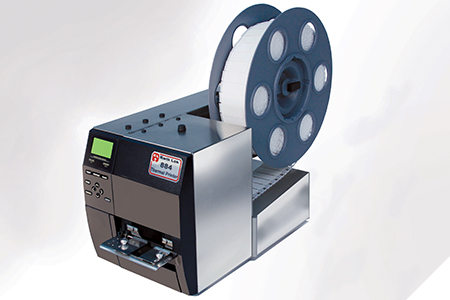 Kwik Lok offers our 884 Thermal Printer which is capable of printing text, bar code, and graphics. This printer is designed to preprint bag labels prior to application at a speed of 640 labels per minute and can be configured so that the speed accommodates your custom print quality requirements. Looking for your label solution? © 2019 Kwik Lok Corporation. All rights reserved.